Violet's first case—a death written off as a suicide—becomes an obsession. Soon a series of similar deaths leads Violet to believe the Intercept is not only still running—it's in the hands of a killer. Dark Mind Rising was a story that I felt surpassed the first book in everything. The book and characters were phenomenal and they grew tremendously. It’s been two years since everything shot to hell on New Earth and Violet’s story is only just beginning. Crime is at an all time high and just when they thought they got rid of the Intercept, something worse than that is happening. 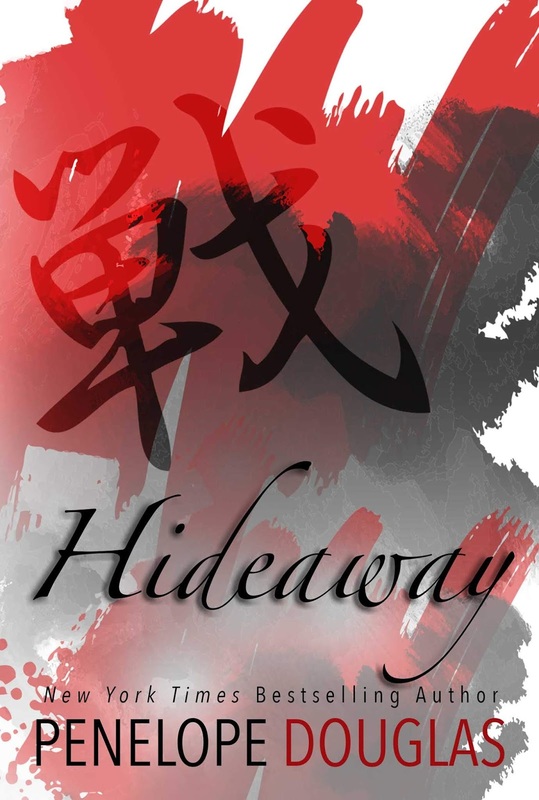 Violet is now a private detective for Crowley & Associates and she’s taking on a care for a girl whose committed suicide. The more she digs, the farther down the rabbit hole she falls. Which in turn puts Violet and Co. in more danger. I can’t tell you how much I enjoyed this. There were times when it was a little bit slow for my tastes, but in the end it didn’t matter because it kept me entertained. I think fans of sci-fi will enjoy these books just as much as I did. There’s a mysterious aspect to the story that I liked. One thing about the story you should be warned about is the suicide part of it. I would just want everyone to know ahead of time what they’re getting into. *Thank you the author for providing a free copy for an honest and unbiased review. All thoughts and opinions are my own. There it was again. A little crease of feeling, right behind her eyes. Amelia Bainbridge shifted in her seat. She glanced around the tram car at the other passengers. Was anybody else reacting? Was it some kind of glitch in the propulsion system, making the car bump and shudder? Nope. They all looked perfectly normal. In the entire sixteen years of her life, she had never experienced anything quite like this. It wasn’t painful, but it was definitely distracting. Something … moved. Something shifted at the edge of her thoughts, right on the outer rim of her mind. She tried to ignore it, but she couldn’t. It was coming even more frequently now, that jittery, fluttery thing, filling more of her head. And just like that, Amelia’s perfectly ordinary ride—the same one she took to school every weekday, traveling high above the bright serenity of New Earth—took a nosedive toward the strange and dark. Stronger that time, more insistent. Like somebody had spun a dial from five to six. Now the dial jumped from six all the way up to eight. Or maybe ten or eleven. different, nobody else was reacting. So nobody else was feeling it. They all appeared to be doing what she’d been doing until just a few seconds ago when the weird twitches came along: enjoying the ride on another gorgeous morning on New Earth. The tram traveled at a phenomenally high rate of speed, but it did so with such scintillating grace and absolute balance that there was no lurching, no bobble, no rocking back and forth; there was barely a sense of motion at all. The car followed the long sweep of elevated track with a whisper of perfectly modulated acceleration. Someday, Amelia wanted to create things just as sleek and sparkling as this tram system. In her case, it would be buildings. She wanted to be an architect so that she could design amazing structures that would make people look up and utter a soft “Wow.” And even though she got a bit discouraged sometimes because all the cool stuff had already been created—or so it seemed, which she knew wasn’t really true, but New Earth was filled with intimidating wonders—she loved gazing out the window and dreaming. Any window would do. The buildings she’d create one day flew out of her head, replaced by increasing confusion. And fear. The twitches were at it again. She shook her head, trying to clear it. Her desperation increasing, Amelia fetched a series of shallow, rapid breaths. Was she getting sick or something? Were these flu symptoms, maybe? The flu made you dizzy, right? This twitching thing could be the first stage. People didn’t usually get sick on New Earth. The serious, most-dreaded diseases were quarantined on Old Earth. If you didn’t go down there, you’d be fine. The few maladies that did creep their way up to the shiny new civilization floating above the broken planet were annoyances—colds, allergies, and the like. And even those would soon be eradicated. Amelia had read a story on her wrist console just last week about Shura Lu, a young physician on the verge of developing a cold vaccine. Until then, people had to put up with being a little bit sick now and again. Maybe that explained this twitching business. After class, Amelia would head straight home. Take a nap, maybe. Eat some soup. Whatever. Her mom would know what to do for her. She made yet another frantic assessment of the other people riding the tram. It was just before nine A.M., so most of them were probably on their way to school or work. A few seconds went by without a twitch. Amelia took a deep, relieved breath. Maybe it was over. Maybe the twitches would never come back. She relaxed. She let her head fall back against the cushioned seat, and she looked out the window again. The car was zipping across an aquamarine sky. The Color Blenders had done a nifty job today. Each horizontal section of track was connected to a vertical strand of wire thinner than a human hair. The wires were made of a stunningly robust alloy developed by Arianna Prokop, chief engineer of New Earth. Every few feet they rose stealthily from the surface of New Earth, so fine that they were virtually invisible against the silver hills of the horizon. When viewed from the ground, the track looked as if it were attached to nothing at all, as if the tram system had simply materialized by magic and now wound in and out of the clouds in an elegant aerial cloverleaf. Tram cars swooshed along day and night, ferrying the people of New Earth with crisp speed and frictionless efficiency. The car glided to a stop. The double doors jumped apart with a hiss, letting in another three passengers: an old woman in a floppy gray hat and two young children, a boy and a girl. Floppy Hat kept a hand on top of each child’s head, shepherding them toward the trio of seats across the aisle from Amelia. The old woman sat in the middle, a kid on either side. The doors smacked to a close, resuming their tight seal. The car oozed forward toward its ultimate destination, Mendeleev Crossing. Amelia’s happy thoughts vanished. Anxiety roared back in. She tried again to focus on something else. They were entering Hawking, the capital city of New Earth, which lay between Amelia’s home in Higgsville and her school at Mendeleev Crossing. She saw Floppy Hat pointing out at the tall, skinny spires outside the window, murmuring a history lesson to the kids about the construction of the buildings when New Earth was still young. The twitch expanded into her shoulders—or so she felt. Amelia looked at her right shoulder and then at her left, and she saw that they were still. So it was all happening in her mind. An invisible quiver traveled up the right side of her face, starting at her jaw and forking toward her temple. Her lower lip began to tremble, the way it sometimes did when she was starting to cry—but she wasn’t starting to cry. She was too scared to cry. She reached up to feel her lip. It was perfectly still. Everything was happening on the inside, not the outside. Amelia let out a short, sharp little blurt of a sound. Not a yelp, exactly, and not a cry, but a sort of half burp. She was losing control of herself. Her knees banged against each other. Her arms and her legs jerked and stuttered—and yet, when she looked down, she saw that her body was completely still. The only thing that had changed was the tiny bruise in the crook of her left elbow. She could swear she saw a small blue flash there. Once, twice. And still the twitches continued. Something had its hands on her brain and was squeezing tighter and tighter. The twitches had linked up to make a single long chain of unbearable hurt. Never before had such a thought occurred to Amelia. Her life had not been totally painless—nobody’s life was perfect, right?—but overall she had it pretty good, and she knew it. She had a tight circle of friends. She was doing fantastic in school. She was making excellent progress toward her dream of becoming an architect. She loved her mom. She even loved her annoying little brother, Jeff. The sentence exploded in her mind like a Thought Bomb. In its wake came another noise—a rising scream that ricocheted off the inside of her skull again and again. She couldn’t stop herself from visualizing small, awful things like cold rain and soiled floors and moldy food and crushed bugs and smelly kitchen drains and dirty windows. And big, awful things like death. Her grief was cataclysmic. It was gigantic and devouring. It seemed to scoop up all the sorrow that had ever come to her—every minor disappointment, every small loss, every failure, every time she had ever felt lonely or confused or embarrassed or afraid—and shouted the details back to her, again and again, louder each time. New Earth wasn’t pleasant. It was disgusting. It was horrible. It was a dead, doomed place. seen again. They were replaced by the idea of oblivion—of erasing herself, of not being here at all. And self-destruction seemed like a tremendous relief. It seemed logical and rational and … inevitable. The beautiful notion of nothingness filled every fissure and crevice of her heaving brain. Fleetingly, Amelia wondered if the other passengers could hear the needle-sharp scream, the one that was jabbing holes in her brain. She didn’t think so. Nobody else looked any different at all. So it was true: She was alone. Trapped inside her mind. The word die scuttled like a poisonous lizard back and forth across her thoughts, its tail whipping and showering her with acid drops of despair. The door slid open. This was the stop for Hawking. A young woman in a long purple coat stepped into the car. Amelia bolted past her, nearly knocking her down, running headlong toward the space created by the sprung-open doors. Amelia didn’t pause on the platform. She didn’t even slow down as she crossed it, shoving more people out of her way. There were angry shouts and grunts and a few startled shrieks. Still Amelia rushed forward. When she reached the waist-high white metal barricade bordering the platform, the final threshold before a yawning three thousand–meter gap from the track to the surface of New Earth below, she gripped the top rail with her left hand and leaped over it with ease. For a moment she was suspended in the air, her head twisted back toward the passengers on the platform, as if to give herself the gift of one last look at the living, a final reminder of what it had been like to be human—the pain and the joy, the questions and the contradictions, and the fierce, simple beauty that crowned it all. The people on the tram that day—the people who watched, even though they didn’t want to—would later say that Amelia Bainbridge had appeared to be smiling. And then she dropped into the vastness below. Julia was born and raised in Huntington, West Virginia. She graduated from Marshall University, then later earned a doctoral degree in English Literature at Ohio State University. She was a Nieman Fellow at Harvard University and has taught at Princeton and Ohio State Universities, and the University of Notre Dame. She is a guest essayist on The NewsHour with Jim Lehrer on PBS and has been a contributor on CNN and NBC Nightly News. In 2005, she won the Pulitzer Prize for Feature Writing. Julia lives in a high-rise in Chicago and a stone cottage on a lake in rural Ohio. 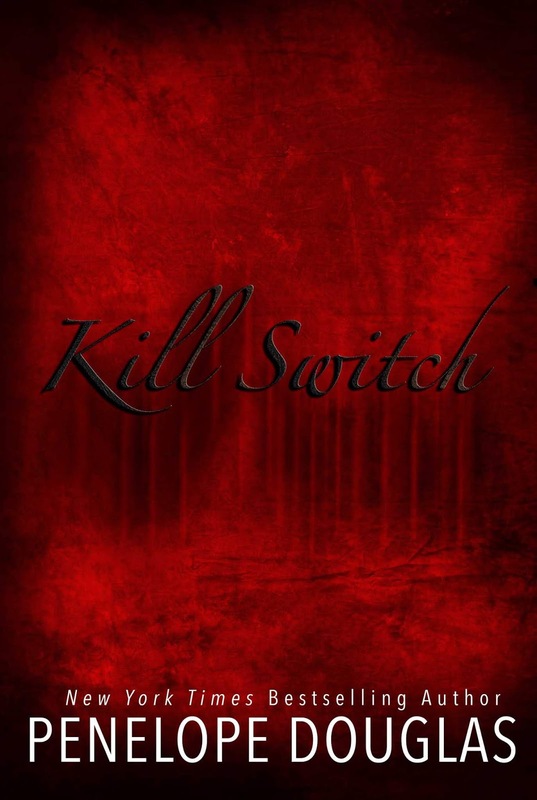 Kill Switch by Penelope Douglas!! 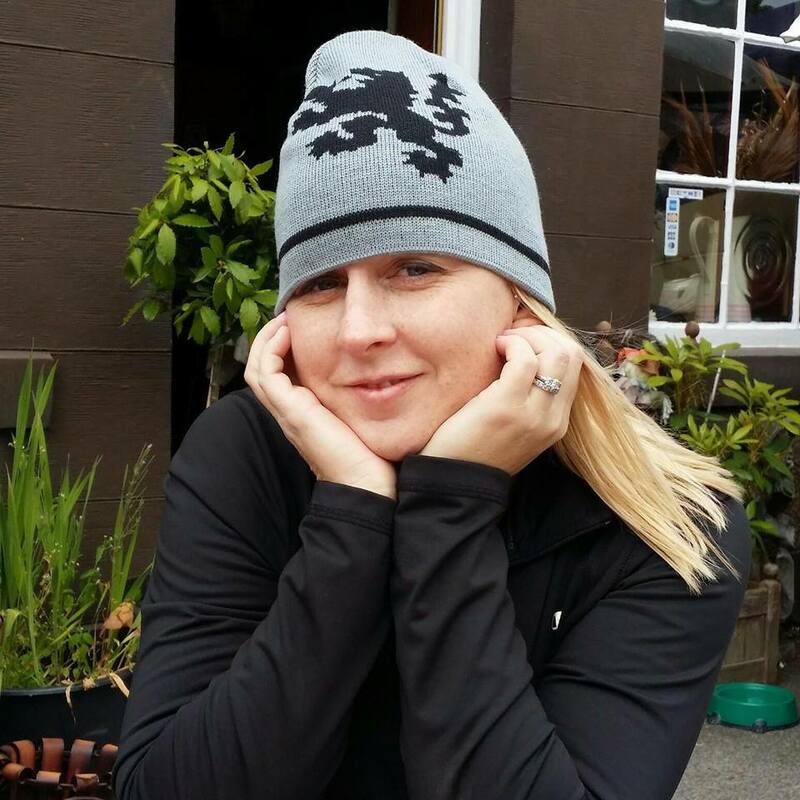 Penelope Douglas is a New York Times, USA Today, and Wall Street Journal bestselling author. 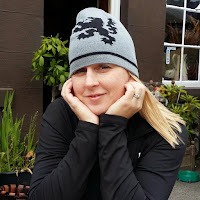 Her books have been translated into thirteen languages and include The Fall Away Series, The Devil's Night Series, and the stand-alones, Misconduct, Punk 57, and Birthday Girl. 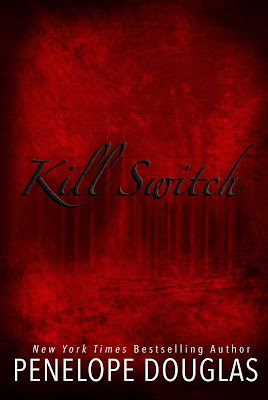 Please look for Kill Switch (Devil's Night #3), coming soon. To enter the giveaway, just click HERE! It will be pinned to the top of the page. making it difficult to resist the heady temptation to use her gifts. way-too-perfect, and way-too-good-looking guardian Aidan watching—and judging—her every move. must embrace who she is or risk losing it all. residence in her home. To learn more about Jessica, please visit her website at www.jessicaruddick.com. So...I honestly don’t know how to feel right about now. And to risk giving anything away, I’ll kindly let you all know that my heart was shattered and kind of pt back together in the end. I’ve obviously shipped a certain gentleman throughout the whole series; as many of you have as well. I’ve been quiet about who it is but after this book...let’s just say my heart hurts. Just a little bit. If you haven’t already started these books, I’d like to point out that this is the third book—please start with A Shadow Bright and Burning. Not only are the covers all gorgeous but the writing and prose are perfection. I fell in love with the world and all the characters inside of it. There’s been many references from other reviews and from marketing that this is Harry Potter meets Jane Eyre. If those books are up your alley, then it’s no question about whether you should read these or not. This book is all about the war and Henrietta, Blackwood, and gang doing their best to try and save the country. On top of that, she’s set to be married to Blackwood, but nothing is ever that easy. With her friends by her side, Henrietta will do everything in her power to save those she loves. With the way the blurb was worded, I was very scared to start the book. I shouldn’t have been scared because Cluess knocked it out of the park. It left me feeling breathless from the twists and turns it had. Of course in the end, my heart was in bittersweet pieces. Especially bittersweet that the trilogy is over. I’m always sad to see characters go when I’ve become attached. US SALE FOR BK 1 AND 2!!! I don’t know how long the sale will last, so get it while you can! Reveling in Sin delivered everything I wanted and more in a story. Meghan March is a force to be reckoned with—I mean, this trilogy completely blew me away. 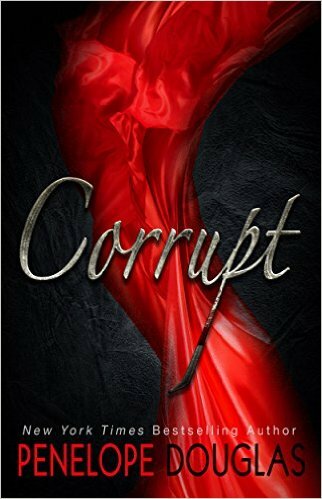 Lincoln and Whitney were sexier than ever in the final installment to March’s Sin Trilogy. Like the other two books, Reveling is just as fast-paced and intense. Making it feel as if you aren’t reading at all. How many of you love angst? The angst in this book is unreal! But so damn satisfying at the same time. I love the way Lincoln loves Whitney—you can just tell that he would do anything for her. His loyalty and devotion is what makes him a high contender for one of the best book boyfriends. If you’re looking for a romance that has it all and one that makes you feel all the feels, this is for you! *Thank you to the author for providing a free copy for an honest and unbiased review. All thoughts and opinions are my own.